We wanted a larger nice looking teak table for use in the cockpit. We’ve seen several different styles of tables and didn’t like most of them. While visiting aboard Charbonneau we saw a very nice table that Blaine and his father had built and decided to make a slightly smaller version for our boat. 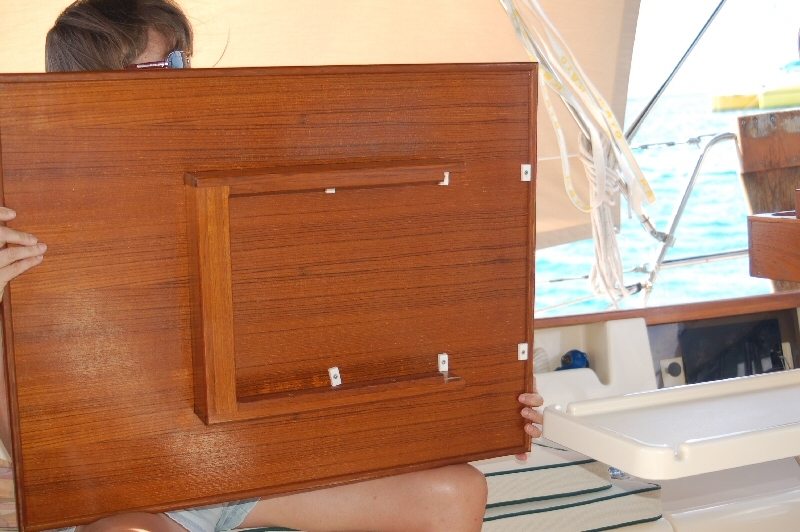 The table was made from teak veneer plywood with solid teak fiddles. 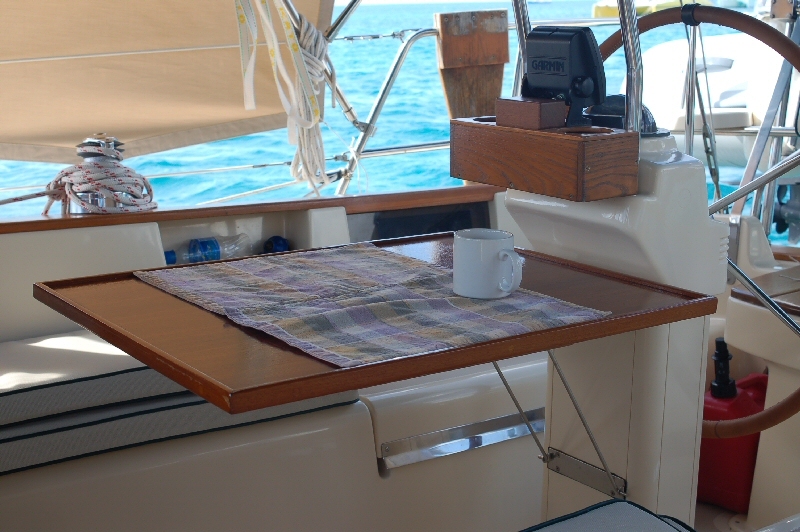 The standard Island Packet cockpit table is used as the support base and the new teak table slides over it. 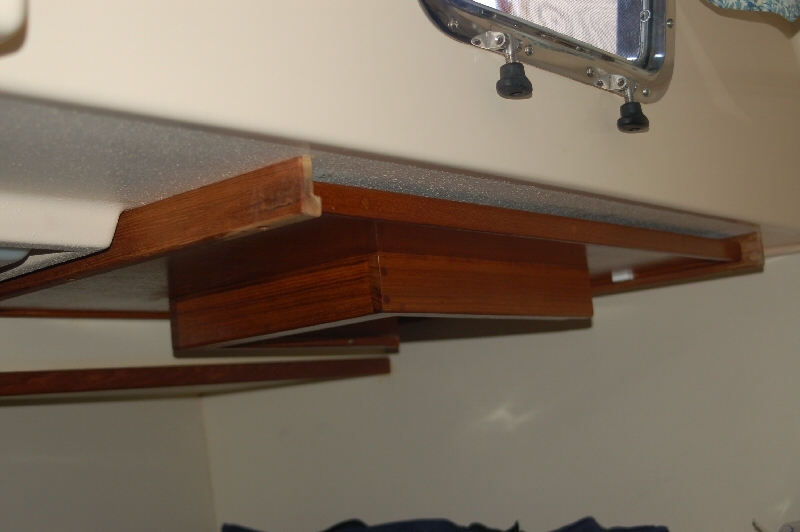 The table is more stable and can be stowed away in the aft cabin overhead when not in use.